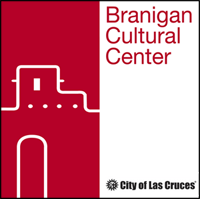 The Branigan Cultural Center is accepting proposals for solo and groups exhibitions to be presented in 2015. Artists and or scholars living and working in the southwest, or working with themes of cultural significance are eligible to submit. Proposals should be delivered electronically to rslaughter@las-cruces.org by Friday, April 18, 2014 at 5pm. All submissions must be delivered digitally via email. Incomplete and non-electronic proposals will not be reviewed. For more information please see the “Submissions” page on the Branigan Cultural Center’s website at www.las-cruces.org/museums. Estimated linear and/or square footage of exhibition space needed. Final determination of which pieces will be displayed and square footage devoted to exhibits will be made by the staff of the Branigan Cultural Center.